Lex added a comment to T138327: GAME CRASH AFTER FEW MINUTES. Something prevents normal operation. Watch in the task manager which processes get priority during the DayZ start. In the settings of the Task Manager - install on top of all windows, this will save you from minimizing the game. Usually, the slow \ incorrect operation of any processes \ programs is associated with blocking due to malware, I would check it first. @SaNdicek And what about the second recommendation, fix error 0xC0000005 - ACCESS_VIOLATION? Lex updated subscribers of T138327: GAME CRASH AFTER FEW MINUTES. @SaNdicek You each rapport file contains an extension to run DayZ_x64.exe. What do you want to run by adding launch extensions? Lex added a comment to T138735: Magazine Bug. Lex added a comment to T137519: Unable to use Iron sights on ACOG. Thank you for resolving this ticket at 1.02. Close this ticket. Lex added a comment to T138554: Tourist map is too rare. Any item can be limited on the server in its settings, and each server can use its own economy and spawning items. In the server settings there may be absolutely no spawning of the map. Did you find out from the server administrator what are the settings for spawning a tourist card? Many people use this card which is available for mobile device. There is a problem in the Mods that you use when starting the game. Can you test the game without Mods? Do you get this error when Mods is disabled? Firstly, thank you for your respond. I was playing DayZ now without mods on official server and it seems to not crash anymore. Now is there any way to fix this so I can play on modded serverers without crash? @Edqar I found them on a server with mods and on a server without mods. I did not even notice the difference in the server, I found a map on any server. But it is still impossible to say with certainty how quickly this will happen. There is always a chance to get a problem with finding any item. Lex added a comment to T138417: New DayZ PC bug report. Lex added a comment to T138479: Strange animal behavior. This should not happen or many small animals should appear around this situation :). Lex added a comment to T134970: Item get stuck in trees. In this situation, the following action helped me; I cut down a tree or a bush where objects were stuck. This returned access to objects in the air. But all this is already detailed in this ticket T138280 . There is a link T96876 to the old ticket with this problem. Lex added a comment to T138488: Игра закрывается без ошибки/The game closes without error. This is UNOFFICIAL, so don't blame the DayZ development team if this is not working at all for you! Lex created T138489: Objects in the fortress are hidden in the wall..
Lex added a comment to T138280: Unable to see items in vicinity menu. @Geez. Earlier in 1.01, access to objects was open everywhere around. There were always a lot of places where objects are in textures - now they can not be raised. Now there are a lot of cases where you can permanently lose an item. The action - to send an object from the hands to the ground, often creates a situation where the object disappears from the menu of the neighborhood, as the object may hang in the air, or fall into the texture. On the one hand, the correction is correct, we should not be able to take objects through the walls. But on the other hand, this fix added more problems than they did in 1.01. In the videos there are no all cases (there are a lot of them) when you can lose connection with objects, or you cannot get connection with objects. Lex added a comment to T115748: Loot spawning/central economy seems to spawn a handful of items everywhere. Lex added a comment to T138055: Experimental. Slow run and impossible dead.. I had a long break before returning to the server. I do not remember how many minutes passed after I left the server. It took 10-20 minutes when I returned to the server. I do not know what to associate with this problem, with my timeout coinciding with the deactivation of the zombies, or with the unsuccessful spawning of zombies in the server lag. Lex added a comment to T138100: New Olga is deadly.. I agree with you 100%. I think that test servers should provide an easier way to test the operation of any content. It makes no sense to force players to spend a lot of time looking for problems. Lex added a comment to T138099: Dayz character lock . This ticket is in the PC section, but must be created as "New DayZ Xbox Bug Report"
This is very similar to a large server lag. This usually happens on servers where there are many players, about 30 players or more. Such or similar problems are treated - only by leaving the server. But it sometimes helps not for long. Pay attention to the video, any attempt to make a quick movement is accompanied by a lag of the coordinates of the player’s movement on the server, as if I lose control of the fast movement, as if I’m dragging on ice. Any slow movement does not cause lag. 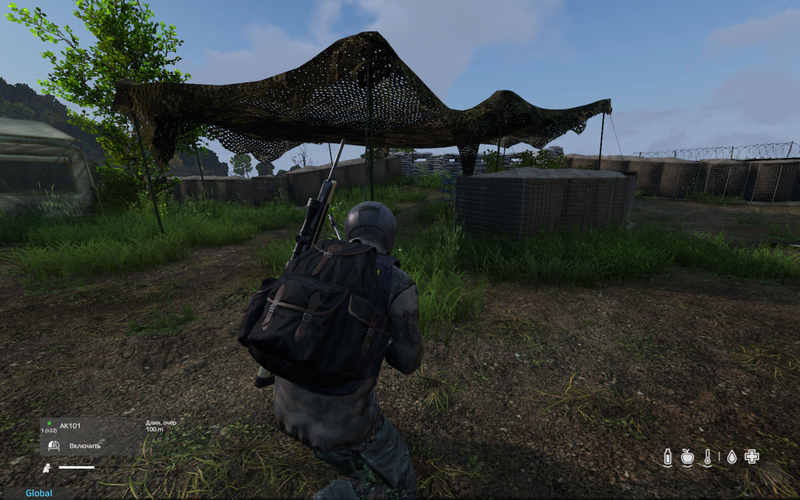 Lex added a comment to T138078: 1.02 Experimental: Empty stacks of .308 ammunition. I met similar and on 1.01, not often. Lex added a comment to T137756: Completely broken controls in experimental..
@Geez Please add to the control settings menu all the functions that are in USERNAME.dayz_preset_User.xml, but are not available to assign control keys in the game settings menu. Lex added a comment to T137858: Firearms actions audio. Lex created T137856: Create spawn points of things in these buildings. Lex added a comment to T135205: RU translation mistake. 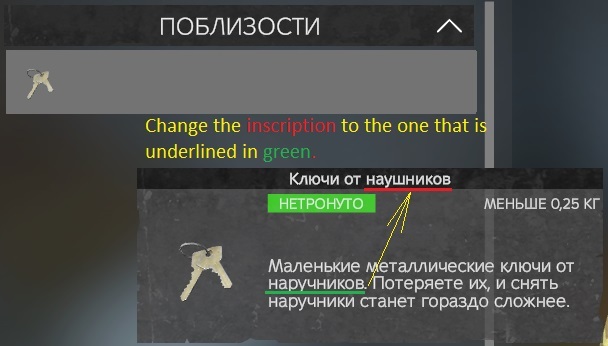 Lex updated subscribers of T133627: DayZ 0.63 bug Russian chars in chat game and overlay. @Geez The problem is not marked on the solution. When is it planned to address this issue? Lex added a comment to T137641: Система прицеливания. @oboyan46ru I explained to you how to change any key to any action. Since not all actions are visible in the game settings, you can make the necessary changes in the Name.dayz_preset_User.XML file using notepad. Lex added a comment to T137659: No ingame sound. @bjoernkasan Do you already have a sound in the game? @bjoernkasan Try installing each of these programs. Steam> Game DayZ> click right mouse button > properties> local files > check the integrity of the game files - wait until the verification process is complete. Whenever I start the game, steam says "first installation" and checks some directX stuff. In the root folder of the game there is a folder "Redist". It has all the necessary software for the proper start and operation of the game. But the installation of these programs should occur once, when you first start the game. If the start of the game reproduces the software reinstallation, then there is a problem with the software installation. Sometimes reinstalling the Net framework and Microsoft Visual C ++ may not give a good result. Try to uninstall the programs from the PC and install them after rebooting the PC. @bjoernkasan It seems to me very unusual (strange) your observation - "occasionally the game doesn't even pop up in the sound mixer of Win10". You need to look in the device manager, open sound devices. Watch if any sound devices disappear when the game starts. Lex added a comment to T137714: 1.02 Experimental: Terrain occlusion issue. I also get this look and the effect of the landscape on the horizon. Maybe it will be needed, I have an nVidia video card, the driver of the latest version. No the game works with neither. Tried it with onboard sound card, as well as external Sound BlasterX G1 sound card. @Lex Yeah, I did so. It didn't work, though, unfortunately. What sound device at you? I reinstalled a couple of times, tried different drivers. everything. every other game works. "Parameters - the System - the Sound - Parameters of devices and the loudness of applications"
Find DayZ in the listed applications. Choose the output device and input of a sound for DayZ. If you make it at that time when a game worked, perhaps it is necessary to switch off a game and again start. Lex added a comment to T137644: Unable to change weapons when in combat effectively.. In other words. A situation when in clothes and a backpack there are no free slots. Circulation of objects through hands, the hot keys happens well if objects have identical volume. If to try to take a subject of small volume in hand, and now through the hot key to take a subject of large volume in hand, the small subject will occupy a part of the place from a big subject. The empty seat in a backpack or clothes loses rational distribution that leads to locking of a turn objects through the hot keys. C: \ Users \ Name \ Documents \ DayZ. Name.dayz_preset_User.XML - in this file all control settings in the game are saved. Lex added a comment to T137614: Problem with movement..
Lex added a comment to T137593: Car rubberbanding on high population servers. I get the same problem when there are a lot of 40-50 players on the server. When I use a quick run across the landscape, I can slow down and stop repeatedly and ported 5-10 meters ahead. I think this problem is not related to the car, but has a common lag problem. Lex added a comment to T137577: Scope Zoom. T137102 Look at this ticket. Before creating a ticket, it is better to use a keyword search so as not to create a replay. Lex added a comment to T137309: Options does not hold keyboard settings?. Here find the two files, delete both files and start the game. - Name.dayz_preset_User.XML - in this file all control settings in the game are saved. - Name.core.XML - all control profiles in the game are saved in this file. Go to the game settings "keyboard settings". Click "Apply" and exit the game. Create backup copies of the files Name.dayz_preset_User.XML and Name.core.XML, anywhere on the PC. If there is a problem, restore files from them. Lex added a comment to T137565: in hand Binocular issue . Lex added a comment to T137102: Experimental 1.01.150625 - Binoculars can't zoom. Lex updated the task description for T137519: Unable to use Iron sights on ACOG. Lex created T137519: Unable to use Iron sights on ACOG. 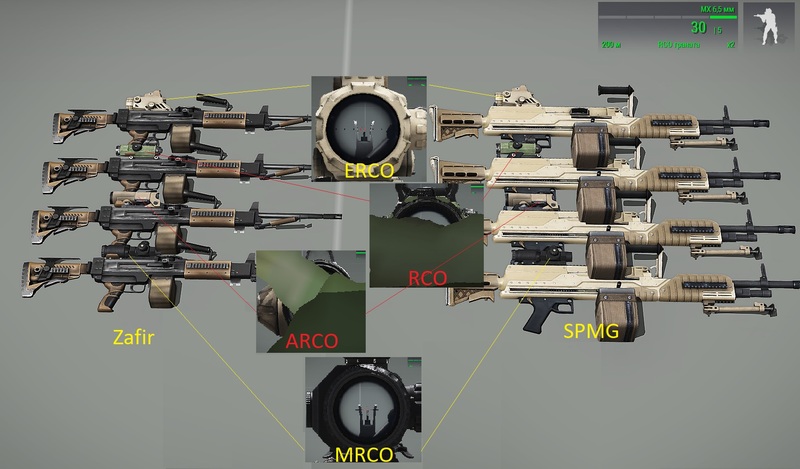 Lex updated subscribers of T93397: Unable to use Iron sights on ACOG. Lex added a comment to T137479: Binocular Zoom problem. This problem appeared with the latest update, reproduced on all optical devices and does not depend on the server or Mods. I reproduce it in a stress test. Lex added a comment to T137471: The center of the optical sight below the center of eye vision..
@Geez Thank. I hope you properly rated part of my request, as the problem of these tickets T128362 , T129231 for me it does not play and was probably solved. The problem I reported is in a different position of the character doll. Or is it a common problem for these tickets ? Lex edited Additional Information on T137482: The position of the weapon - raised, the way to control the action..
Lex created T137482: The position of the weapon - raised, the way to control the action..
Lex updated the task description for T137471: The center of the optical sight below the center of eye vision..
Lex renamed T137471: The center of the optical sight below the center of eye vision. from The center of the optical sight below the center of sight. to The center of the optical sight below the center of eye vision..
Lex created T137471: The center of the optical sight below the center of eye vision..
Lex added a comment to T137447: Invisible walls blocking passage. Yes, this problem with camouflage nets in many places where they are. Lex added a comment to T137397: Suppressor - short service life of the equipment..
Oh my bad. On my server I can take them off to repair them without them ruining. I also took down the Suppressors while he was "worn". But before I found the tape and could repair it, it received the status of "damaged" while in the backpack. More than once, Suppressors got my status from “not used” to “damaged” being in a backpack, before I could apply them. No other items in the backpack or unloading receive such status there. Given the resource of silencers, this counts in over thousands of shots. In the game, it seems less than 75 shots are capable of disabling the muffler. You can repair them with a gun cleaning kit or duct tape but they don't last much longer. I know what can be repaired. But it is not possible to do this in a timely manner, before the Suppressors receives the state "destroyed". It is impossible to obtain information about the status of Suppressors when it is attached to the weapon. while Suppressors was working, disconnecting him from the weapon he immediately gets the state of "destroyed"
Suppressors gets the status "destroyed", even when it has not been applied more than once, just keep it in a backpack, or unload. Lex renamed T137397: Suppressor - short service life of the equipment. from Supressor - the lifetime of equipment. to Suppressor - short service life of the equipment..
Lex edited Additional Information on T137397: Suppressor - short service life of the equipment..
Lex created T137397: Suppressor - short service life of the equipment..
Lex added a comment to T93397: Unable to use Iron sights on ACOG. @Geez You can confirm this ticket, as it is very old, but is being reproduced now. This is not a proper use of the ACOG scope features. This part of the sight is not activated on any rifle. On the M4, for example, where the iron sight is removed to install the ACOG optics, only the ACOG optics work, and the switch to the ACOG iron sight does not occur. On sg5k with ACOG, switching to an iron sight shifts its eye to the sg5k iron sight, which leads to a poor view of the target. Lex added a comment to T137112: 1.0.150627 - LOOT TABLE/SWARM SPAWNING OF ITEMS. I had many cases when in any place, appears always identical objects. I take away these objects, but after a while, there it is possible to find the same subject again. There is a feeling that some places, cannot generate other objects, in one session of a game. Lex added a comment to T128200: Player/AI call out directions inversely. @walmartforever Can you check it out? Lex added a comment to T123368: Bipod limits the field of view, much depends on the topography of the landscape..
Lex added a comment to T85691: Deploying a weapon when prone near a building results in player under ground. Lex added a comment to T82244: Firing modes ATGM "Titan" and the inertia of the pipe in the hands of anti-tank..
Close this ticket, the issue was resolved at 1.82. Thank you. The same question is in my ticket. The lack of a solution was associated with the fall of FPS. But I could not see a significant drop in FPS in the tests. Lex added a comment to T127973: Bugged achievements.. This ticket is a duplicate of the problem. Lex added a comment to T125680: Cannot achieve "Puppeteer" and "Dressing Doll". Download and install Arma3 v1.56, on this version of the game you can get an achievement. Similar solutions are born on the Internet. The lack of attention of BIS in solving simple problems, teaches players to use radical methods. This can indirectly affect the profits of BIS, teaches players on the Internet to exchange pirated versions of the game and try to use it. BIS, BIS, - lack of foresight and predictability can destroy any business. Lex added a comment to T130418: PMCL Sights are not working properly. Lex added a comment to T129965: 64 bit not launching. In the launcher Arma3 (arma3launcher.exe), under the options, select the platform - 64bit. Tried it? Lex added a comment to T130378: Rocket launchers. Now the PCML and Titan missiles have two flight trajectories. Depending on the application of the rocket, select the desired trajectory. The trajectory of the attack from the top down causes great damage. For machines, one missile is enough. Check the game settings, there are keys to change the trajectory of the rocket for the launcher. Lex added a comment to T82570: UAV Darter waypoints do not always work. @madpat3 this ticket about UAV Darter which can't reach a traveling point. For other problems with UAV Darter it is necessary to create other ticket with steps of reproduction of a problem. Lex added a comment to T126782: AI gets stuck, and will not execute any commands, in some sequence..
Lex added a comment to T74443: AI soldiers, especially medic, may get stuck with no reason. The problem, as before, has not been solved.